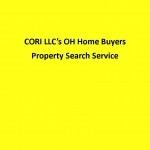 Columbus OH Home Buyers Assistance-CORI LLC uses a simple 4 step process. move into and own. DAY 1_! You could be buying a home even if lenders or bank have said NO! What requirements are needed for the Columbus OH Home Buyers Assistance program? CORI LLC under writes or looks at every home buyer applicant much like a traditional financial institution. The minimum credit score that our investors work with is a 580 beacon score. We use the website https://www.creditchecktotal.com/ and ask all home buyer applicant to pull all 3 scores, print them out, and bring them on the first home buyers consultation with their Realtor. Every home purchase with 580 credit does require a deposit or skin in the game. The down payment amount required, depends on several factors in the credit report, job history and the house that is being purchased. It is different for every Columbus Ohio home buyer but the range is 3% to 20% of the price for the house being purchased. There is also a twenty four month job history requirement. This means that a home buyer applicant must be employed in the same field or type of work for at least twenty four months without a break in employment.